The UK has signed a post-Brexit trade deal with a group of Caribbean countries including Jamaica and Barbados, as ministers scramble to sign as many agreements as possible before leaving the EU. The Department for International Trade said it had signed an economic partnership agreement with the Caribbean forum (Cariforum) of nations, helping to maintain the imports of good including bananas, rum and sugar to Britain. The deal means the government’s push to roll over EU trade deals from which the UK benefits has yielded agreements covering a little more than a third of its trade with the countries involved. After securing agreements with Norway and Iceland earlier this week, ministers have now signed deals covering about £43bn out of the £117bn of annual British trade with the almost 70 countries the EU agreements cover, up from £16bn last month. Signing the deal with the Cariforum on Friday, trade minister George Hollingbery said the agreement would enable Britain to build on its historic ties with Commonwealth nations after Brexit. “I am delighted to sign this agreement today as it will allow businesses to continue trading like they do today after we leave the EU. “It will help to support jobs in the UK and throughout the Caribbean, as well as ensuring that the British supermarkets shelves continue to be stocked with the best Caribbean produce such as bananas, sugar and rum,” he said. The agreement covers as much as £2.5bn in annual trade with Caribbean nations including Belize, Dominica, Grenada, Guyana, Jamaica, Saint Lucia, and Saint Vincent and the Grenadines. 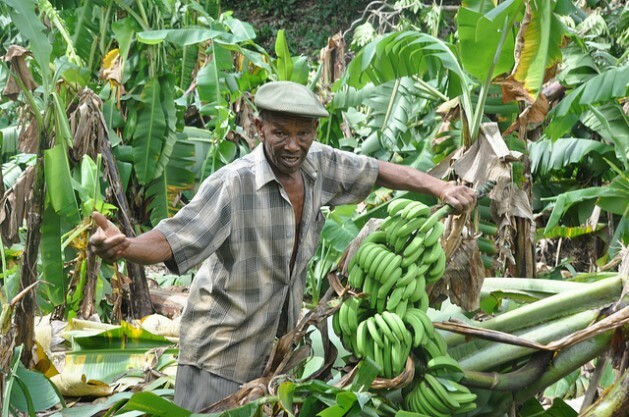 The government said consumers would continue to have access to a wide range of products from the region, adding that Britain bought 100% of the bananas exported by Saint Lucia in 2017. It comes after several other deals were finalised in recent weeks, including with large trading partners such as Switzerland, but also with smaller partners such as Fiji and Papua New Guinea, which have drawn criticism from opponents who say the EU is a far more important trading partner. About half of UK trade is with the EU. However, ministers are yet to sign deals with several key trading partners covered by the EU free trade deals, including Turkey, Japan and South Korea, with several deals thoughts to be significantly off-track.